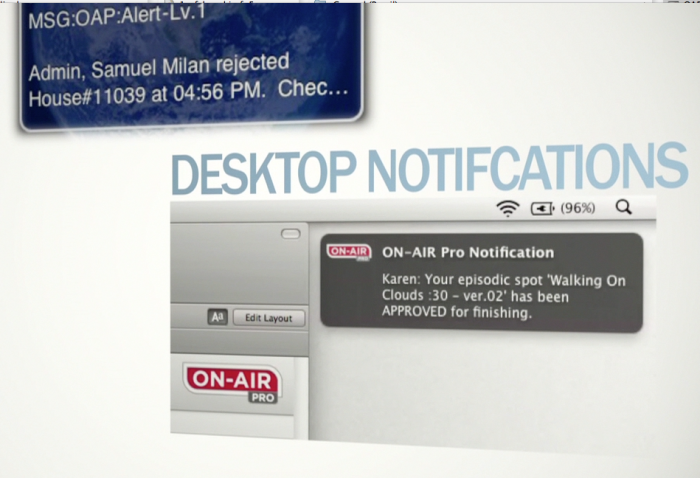 The ON-Message™ plug-in for ON-AIR Pro™ is the long-awaited, much-requested Notifications suite. 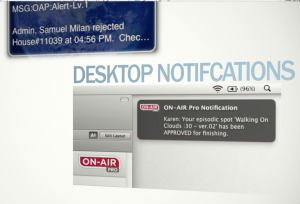 Receive updates via email, Mobile SMS and more – each triggered by production events of your choice. Receive notifications for key events such events as spot assignments, approvals, key deletions (work orders), or changes to the program schedule — just to name a few. 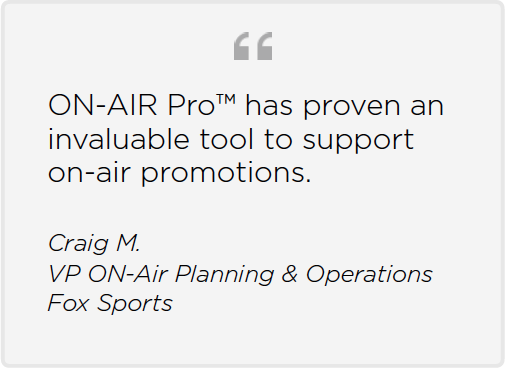 This powerful plug-in can also greatly enhance ON-Web™ and ON-Spot™ by alerting your staff about critical information when they are not at their computer.